No, you haven't been magically transported to France. It's me, Lindsey! And yes, I'm wearing a beret. I'm one baguette and Breton stripe shirt away from being a full-on francophile cliché, but I love it anyway! As you know, here in southern California, we must take what little hints of winter we can get. My outfits don't really change all that much from season to season, but my accessories do. A dress is a dress winter, spring, summer, or fall, but throw on boots and a coat, or slip on sandals and sunnies, and you can completely transform one piece for all four seasons. For me, the accessory to rock this winter is a beret. It's très chic, if I do say so myself. Sure, the hat might come off as a bit pretentious if overly styled, but I think it's a fun hat choice that works no matter your winter climate. 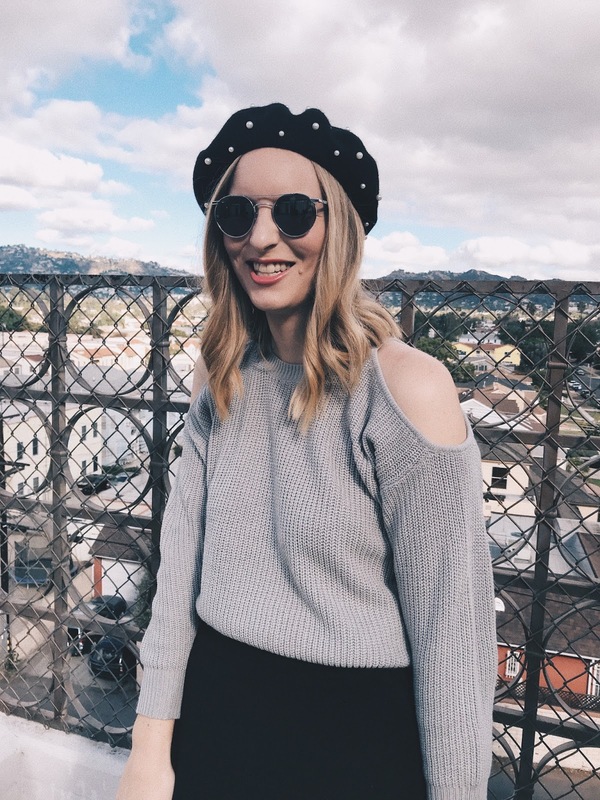 I was naturally drawn to this pearl-embellished beret from Forever 21, which is unfortunately sold out, but I've rounded up a few of my favorites for you to shop, too! 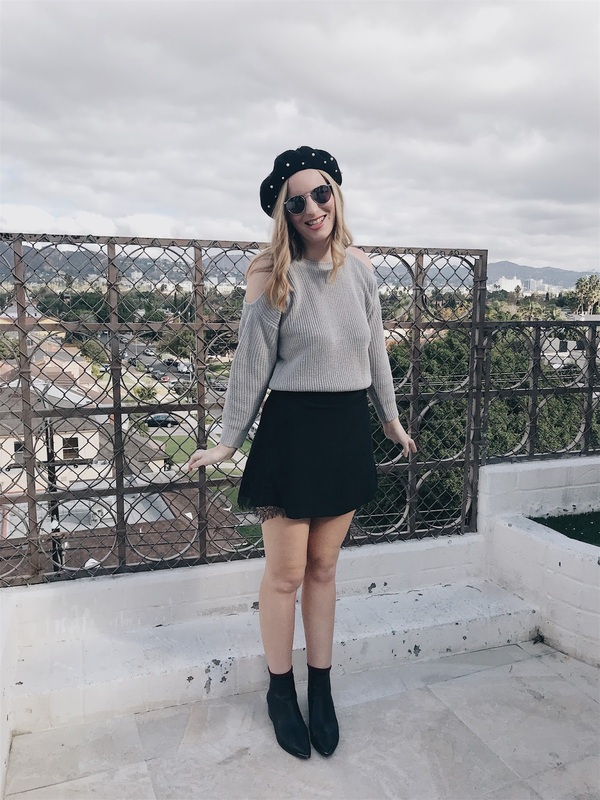 There are berets at every price point, so you can test out this trend without making a huge investment. Keep scrolling to see the full outfit and shop my look!